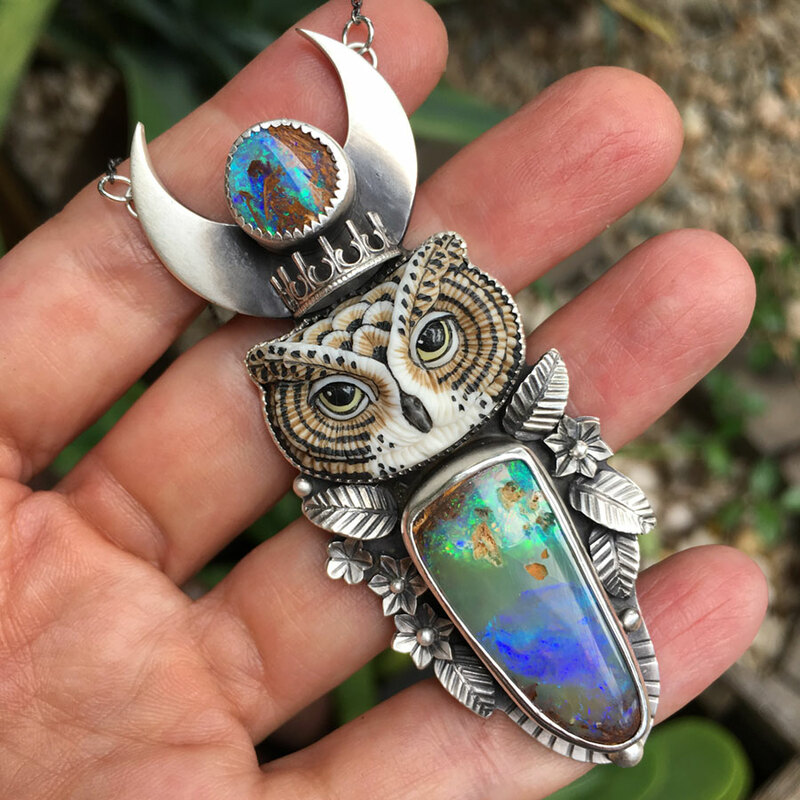 This wonderful Laura Mears Owl face has been nestled in between two stunning Koroit Boulder Opals. 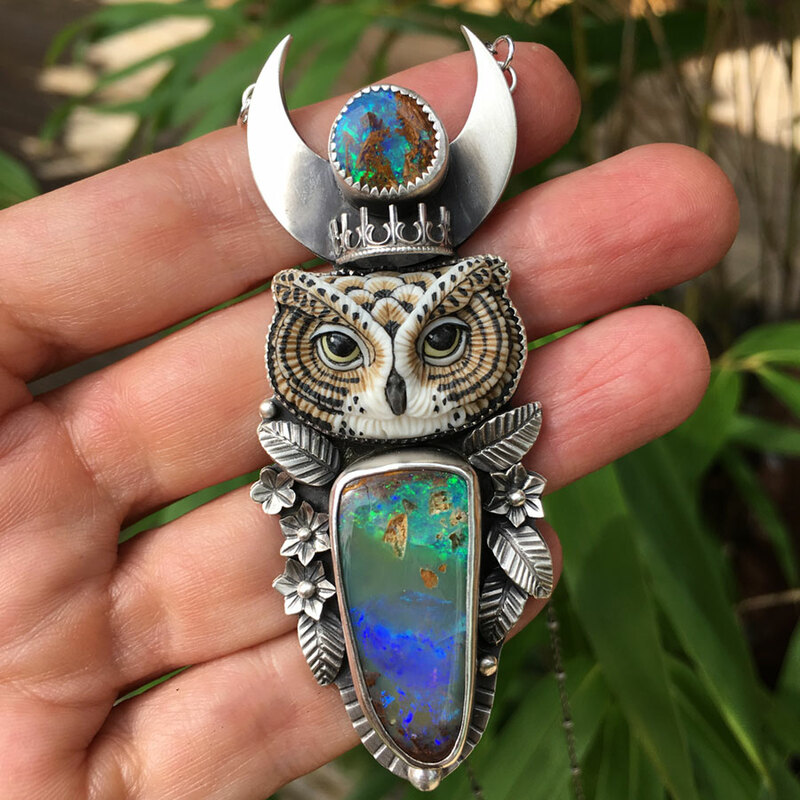 Hand crafted from sterling silver, all of the items making this piece have been cut, filed and soldered together in my studio. 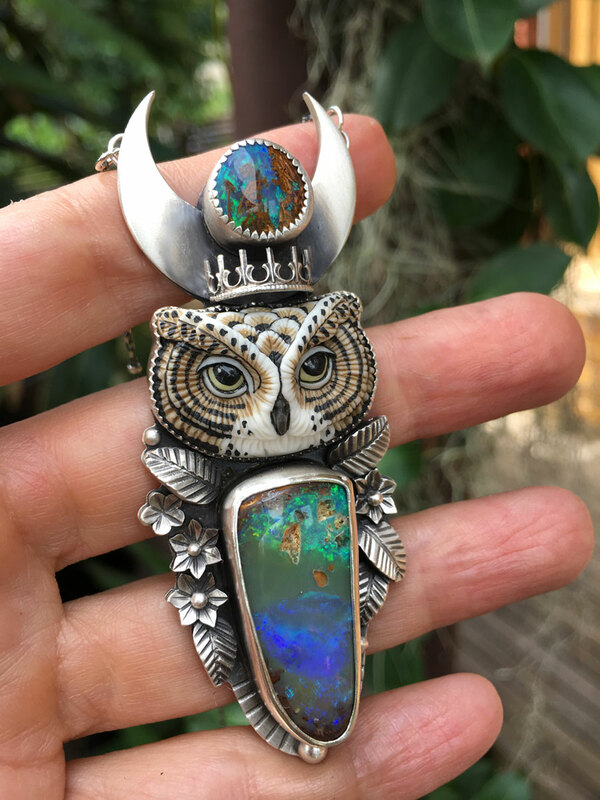 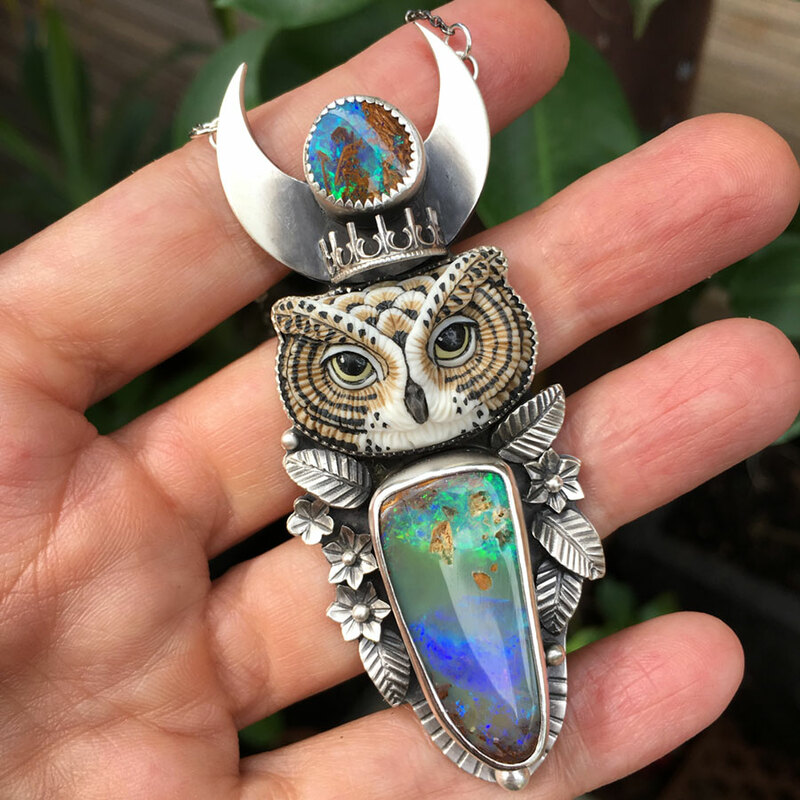 A combination of two of my favourite things, owls and boulder opals. 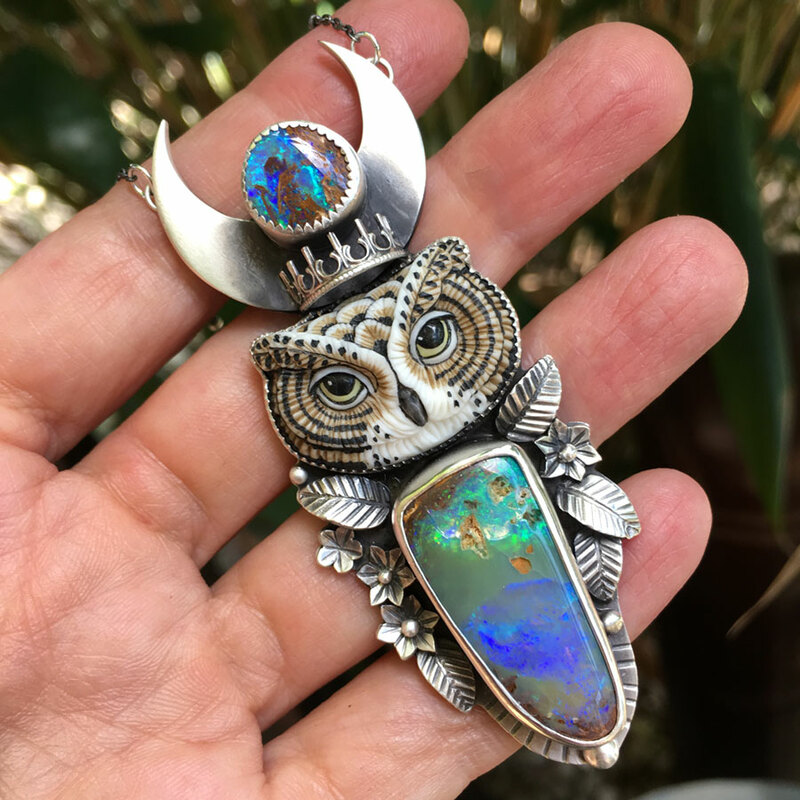 I travel to Queensland once a year to hand pick my opals direct from the miners and spend days poring over them! 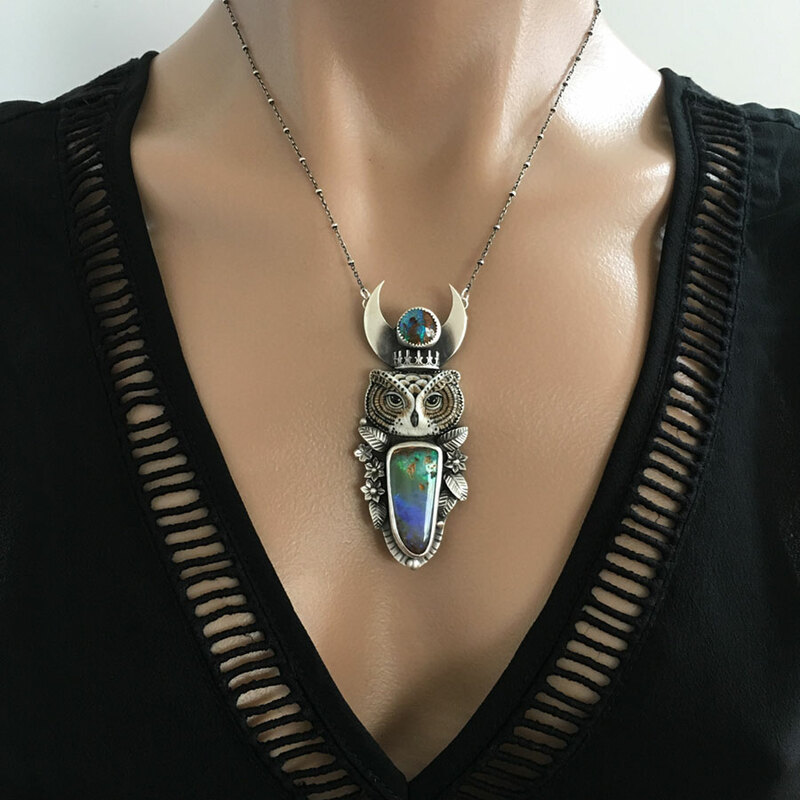 The entire necklace measures 19″ – 48cm and is ready to ship in a gift box.